The hack requires two processes to be performed. First, the criminals need to add a small device known as a Shimmer to a point-of-sale (POS) machine (here, ATM’s card reader) in order to pull off a man-in-the-middle (MITM) attack against an ATM. The shimmer sits between the victim’s chip and the card reader in the ATM and can record the data on the chip, including PIN, as the ATM reads it. It then transmits this data to the criminals. The criminals then use a smartphone to download this stolen data and recreate the victim’s card in an ATM, instructing it to eject cash constantly. Tod Beardsley, a security research manager for Rapid7, told the BBC that shimmer is basically a tiny RaspBerry-Pi-powered device that could be installed quickly to the outside of the ATM without access to the internals of the cash machine. "It’s really just a card that is capable of impersonating a chip," Beardsley said. "It’s not cloning." 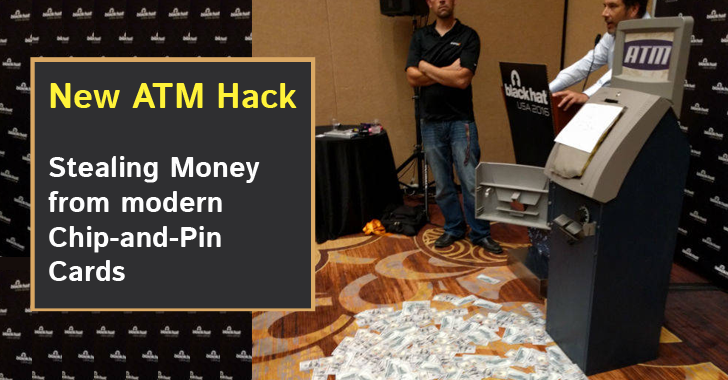 The perpetrators would only be able to replicate each card for a few minutes and use it to fraudulently withdraw money, enabling them to make between up to $50,000, but Beardsley suggests that a network of hacked chip-and-pin machines could create a constant stream of victims. Researchers have disclosed full details about the issue in Chip-and-PIN ATMs to banks and major ATM manufacturers and said they hope the institutions (currently unnamed) are examining the issue.